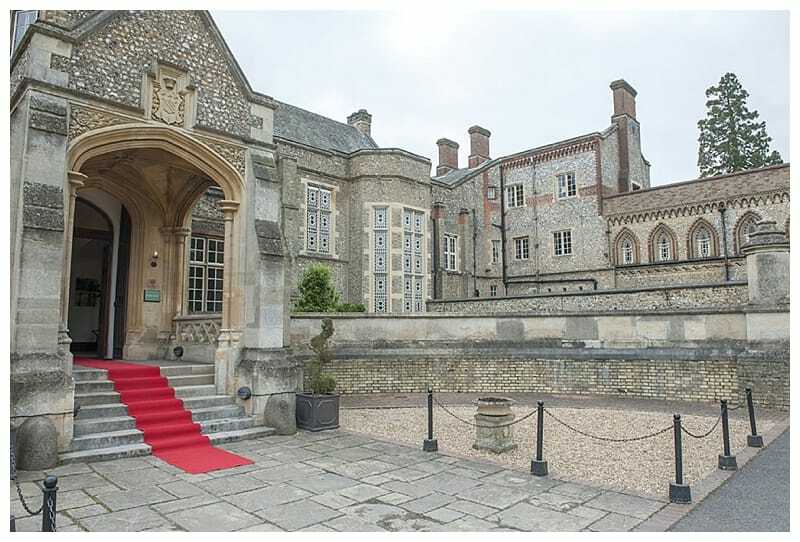 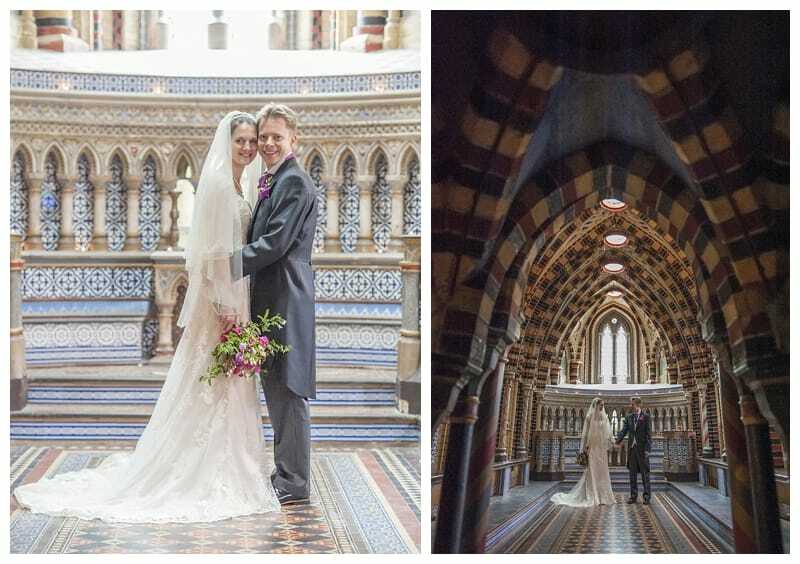 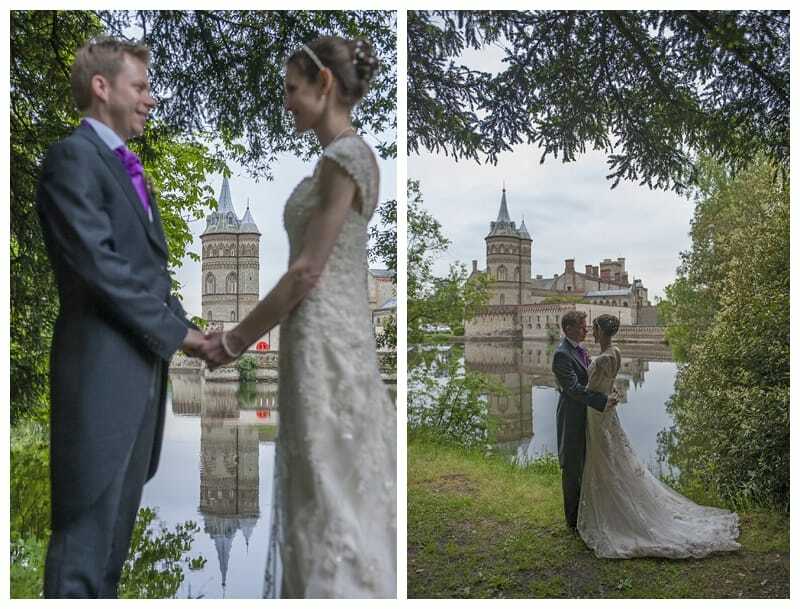 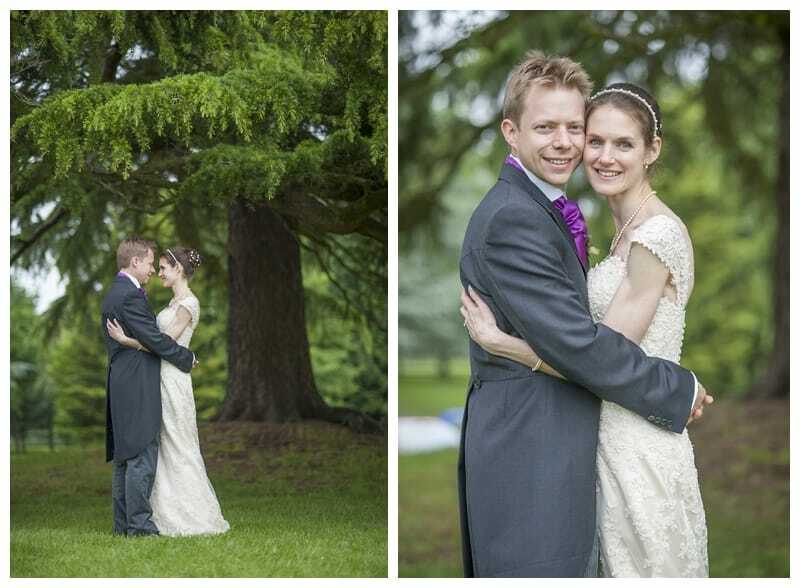 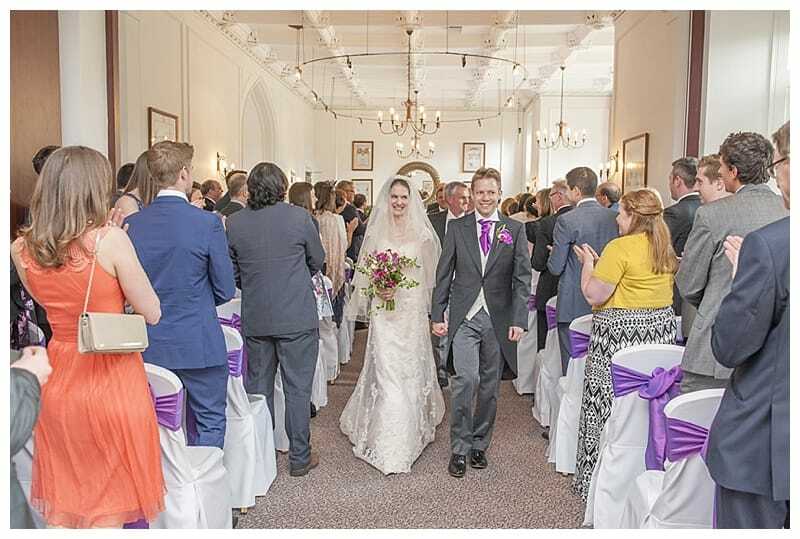 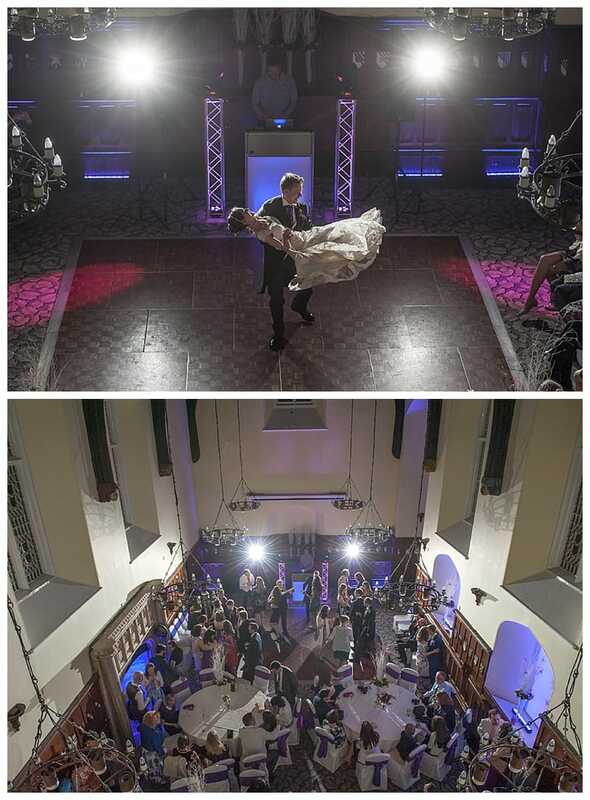 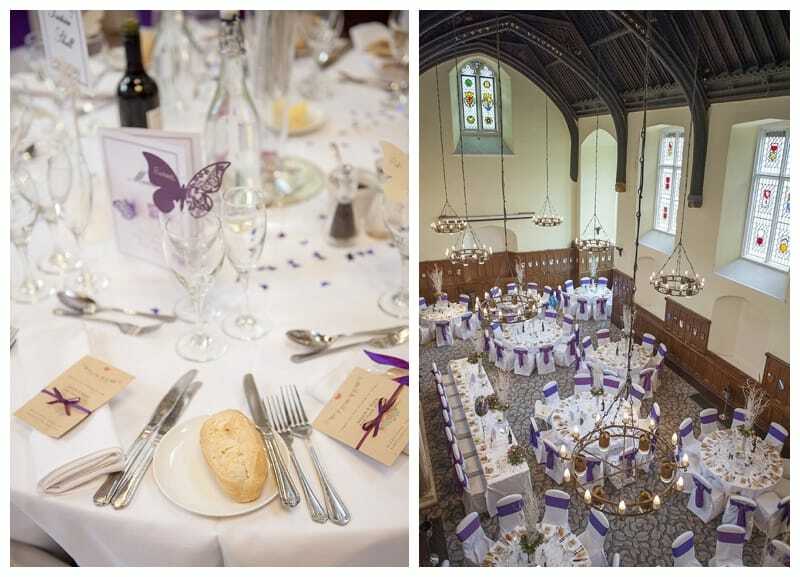 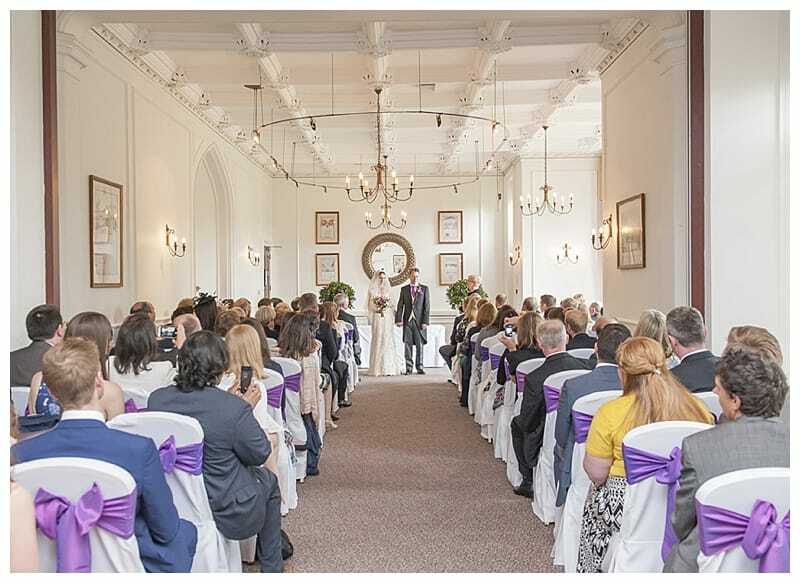 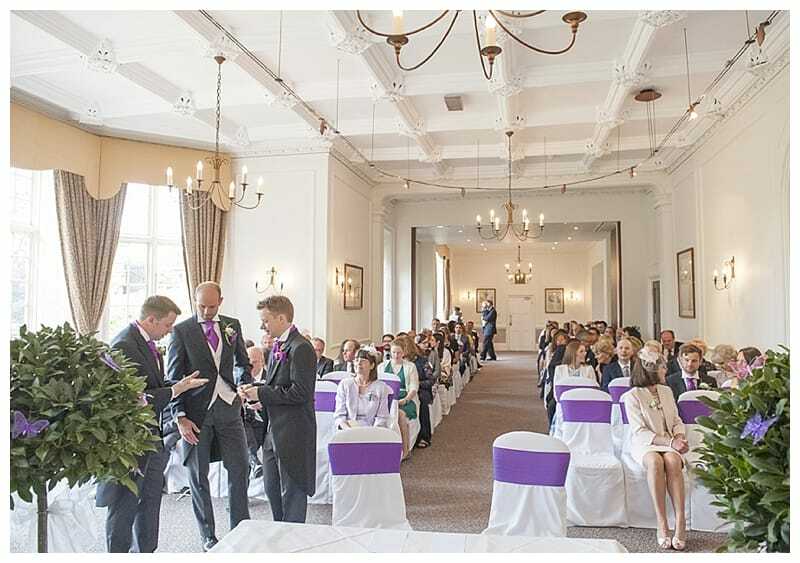 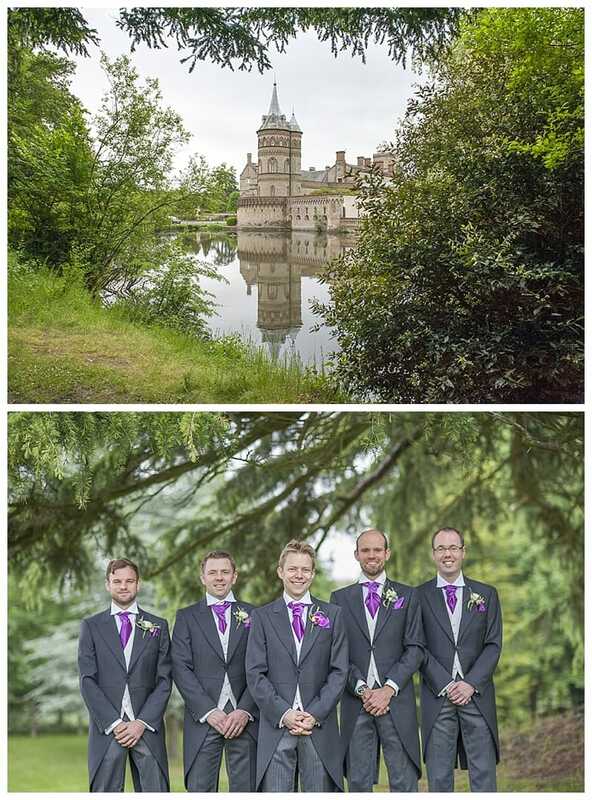 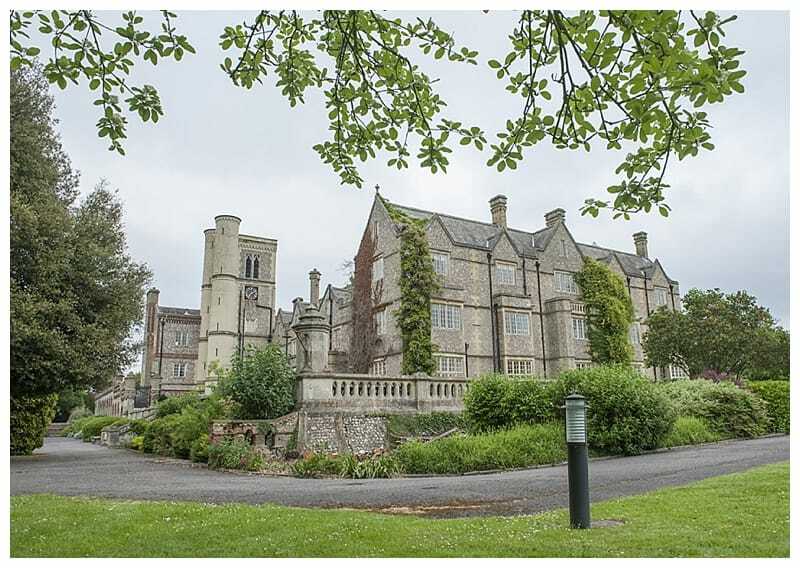 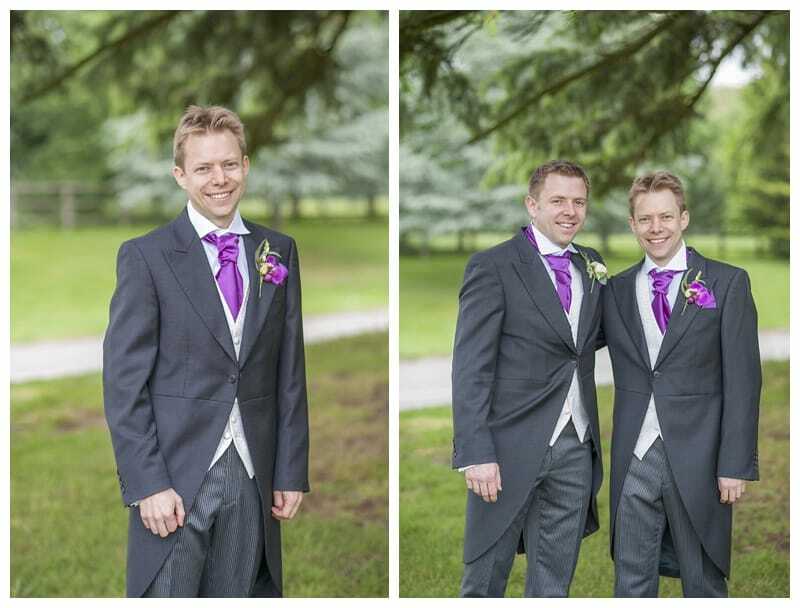 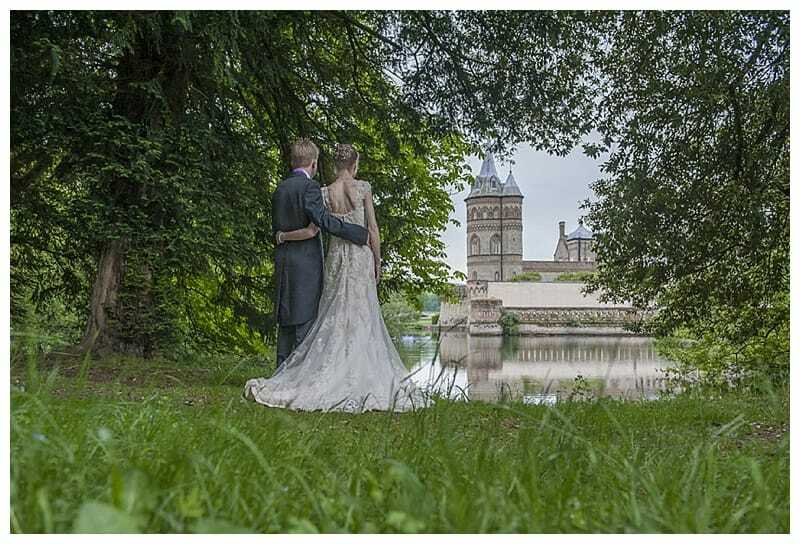 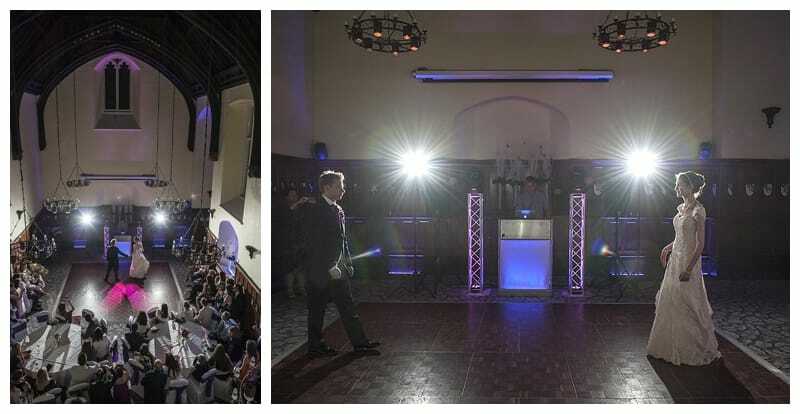 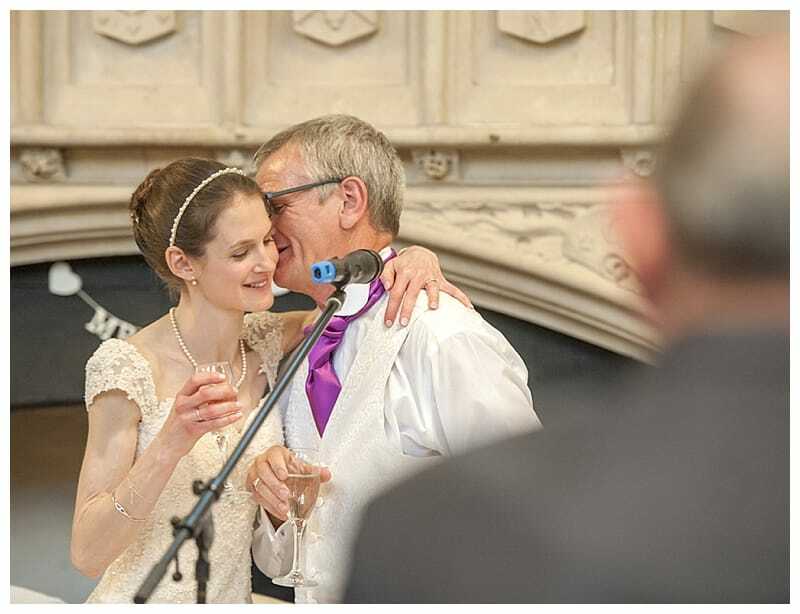 Alex & Laura chose the stunning Horsley Towers as their perfect wedding venue after getting engaged in Amsterdam. 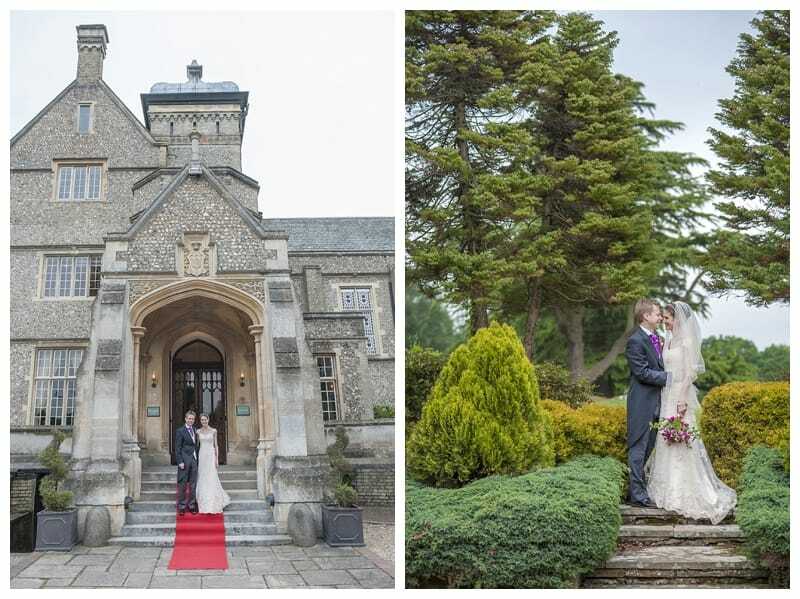 The mansion was originally built in the early 1800’s, formerly the home of the Lovelace family and set in 70 acres of stunning Surrey countryside. 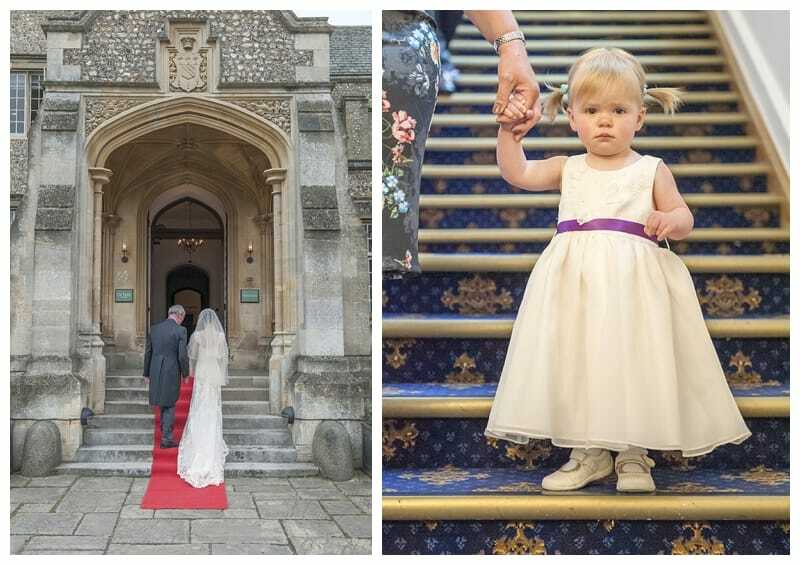 This historic building lent itself as a fitting venue for a regal wedding with so many breathtaking photo opportunities – I was spoilt for choice! 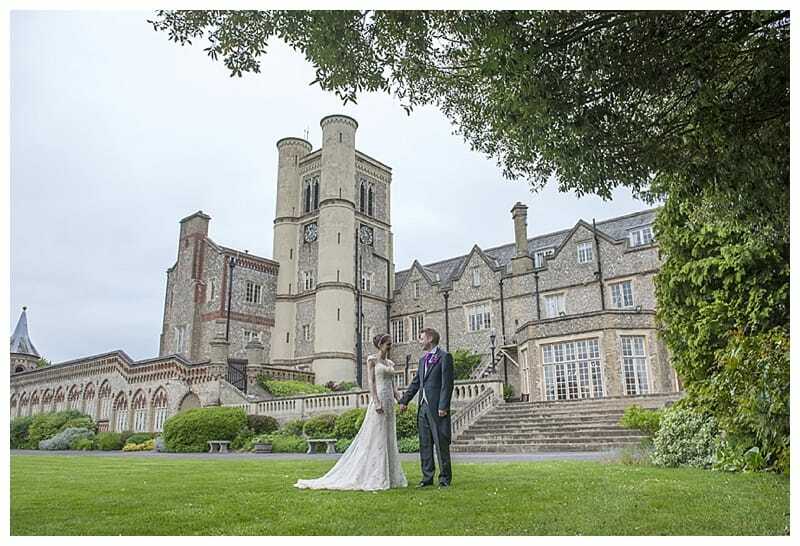 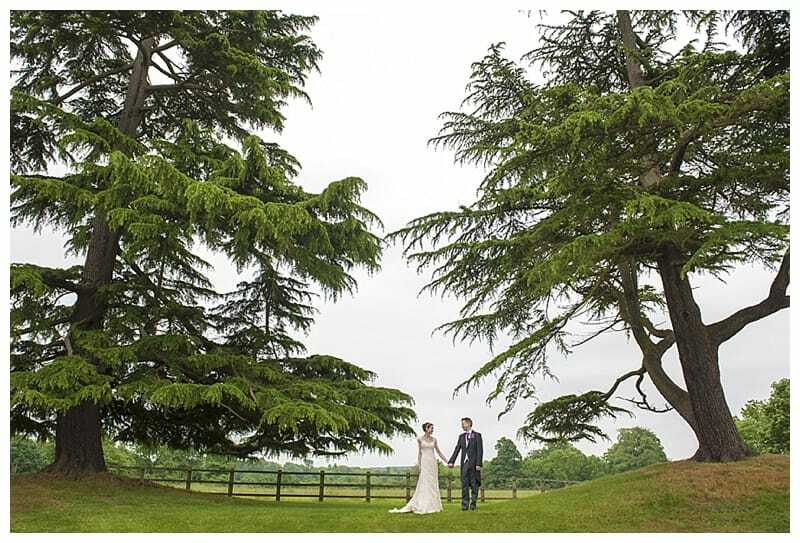 The impressive architecture and stonework of the mansion coupled with the beautifully maintained gardens and landscape created a fairytale backdrop. 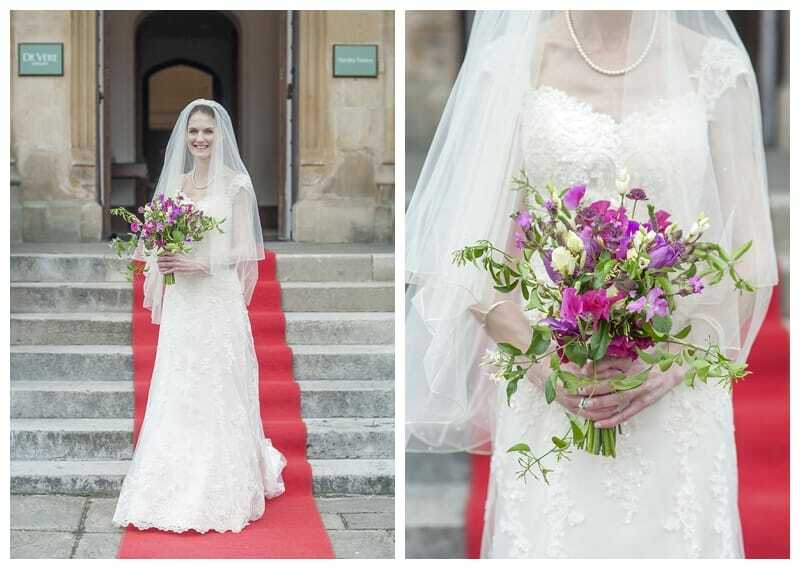 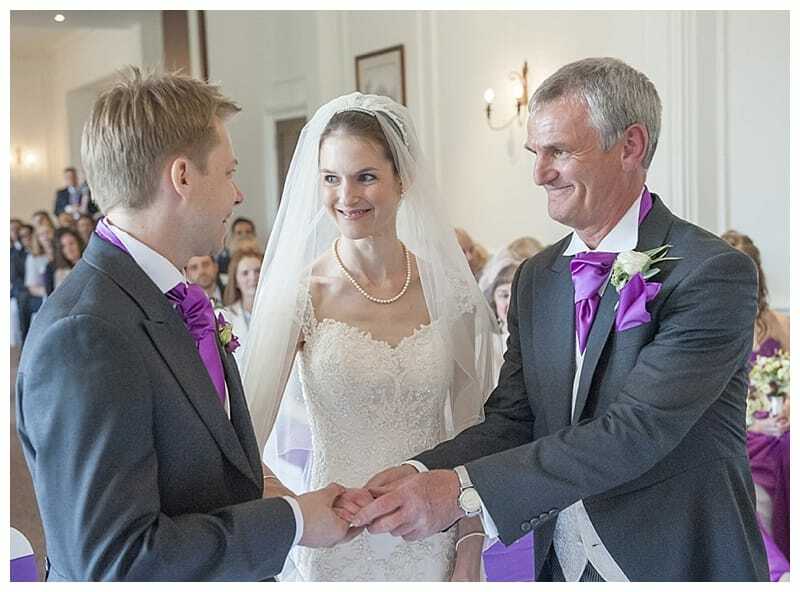 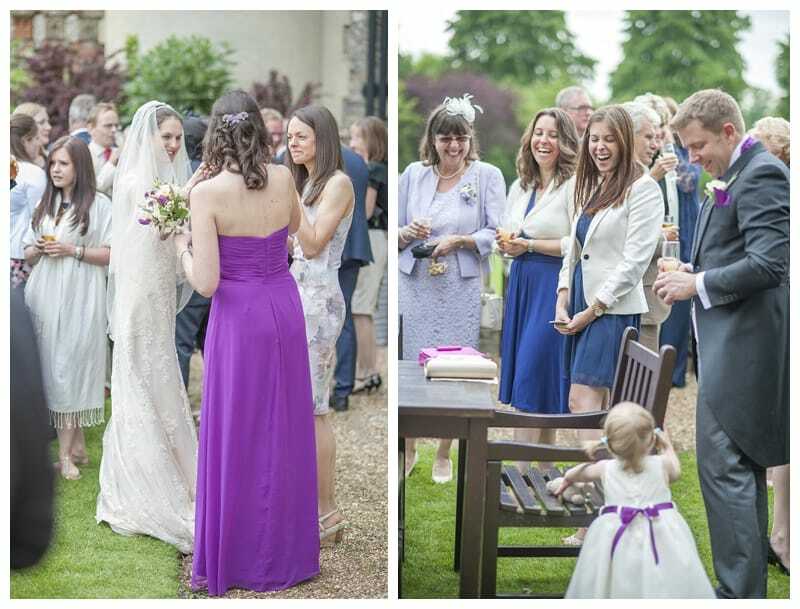 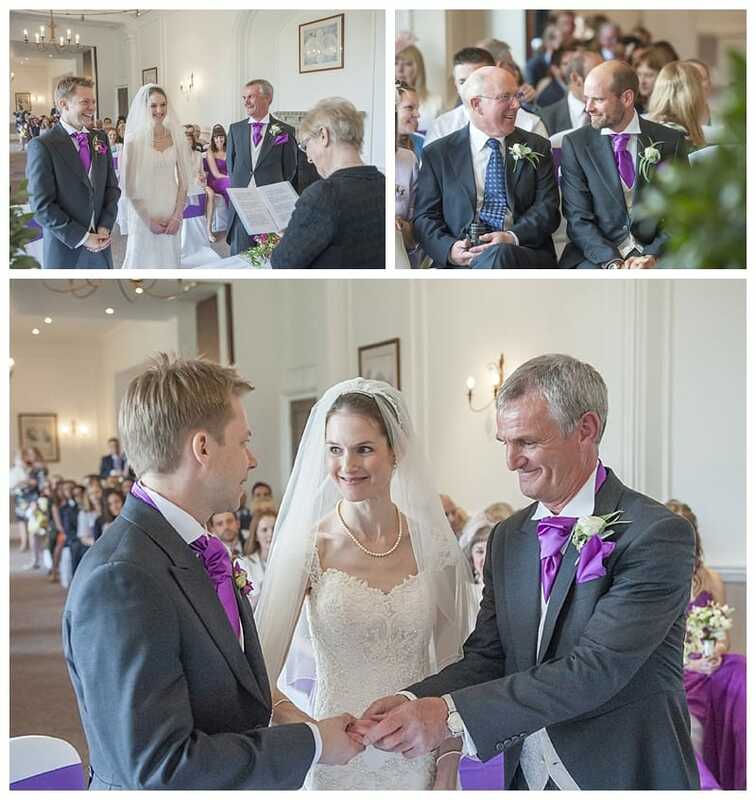 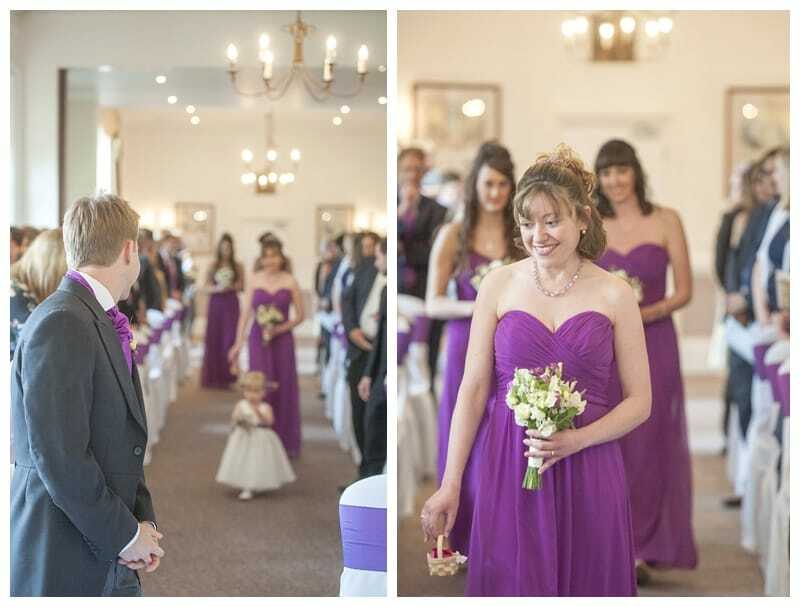 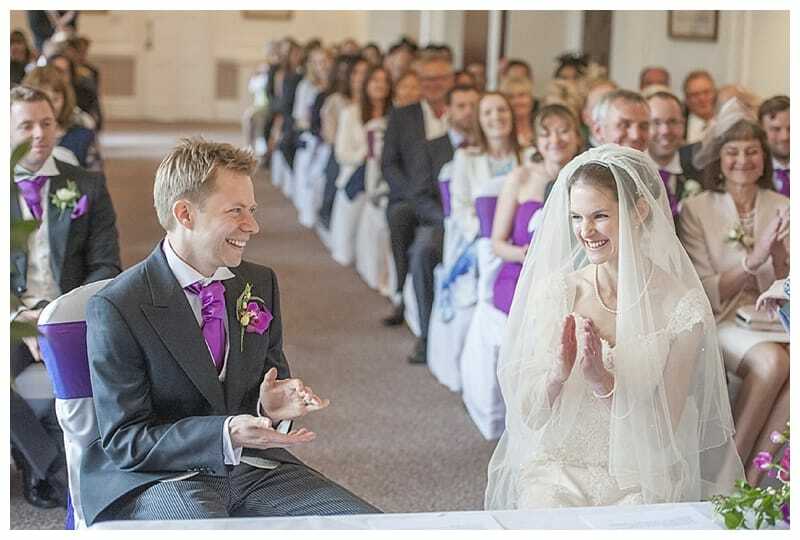 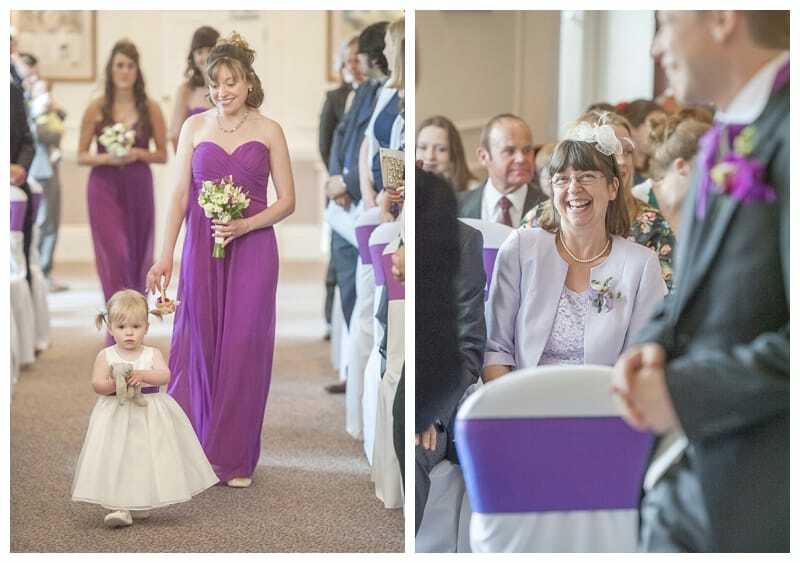 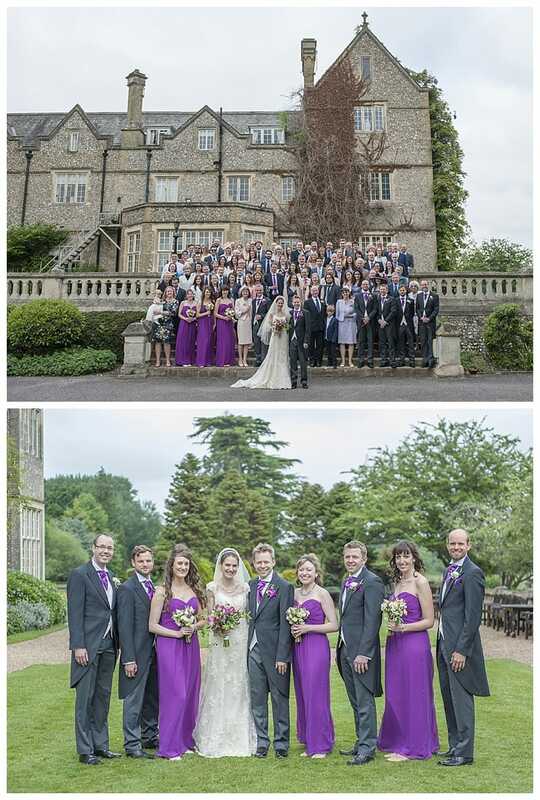 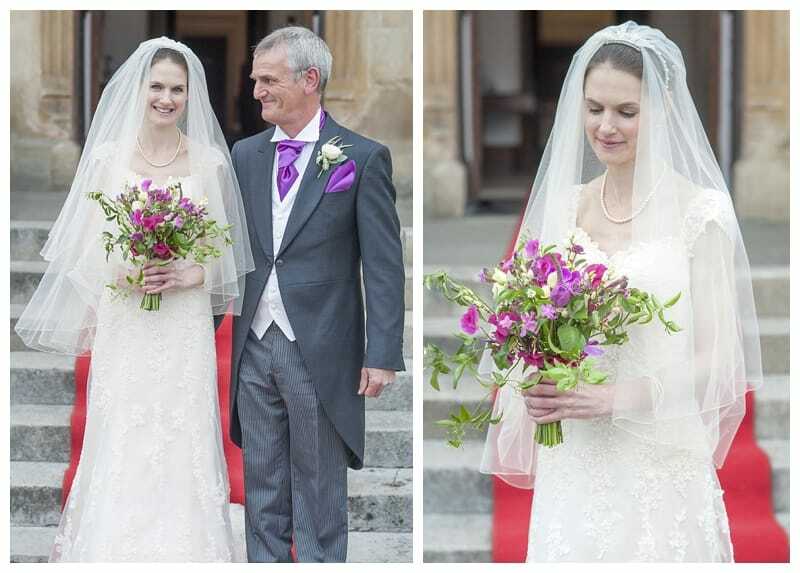 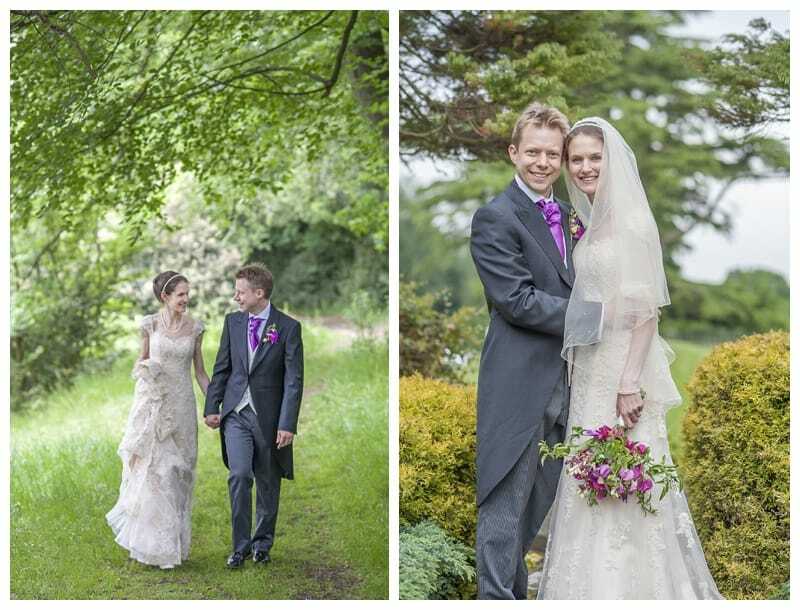 Laura wore a pretty embellished lace dress with Chris and the wedding party modelling royal purple. 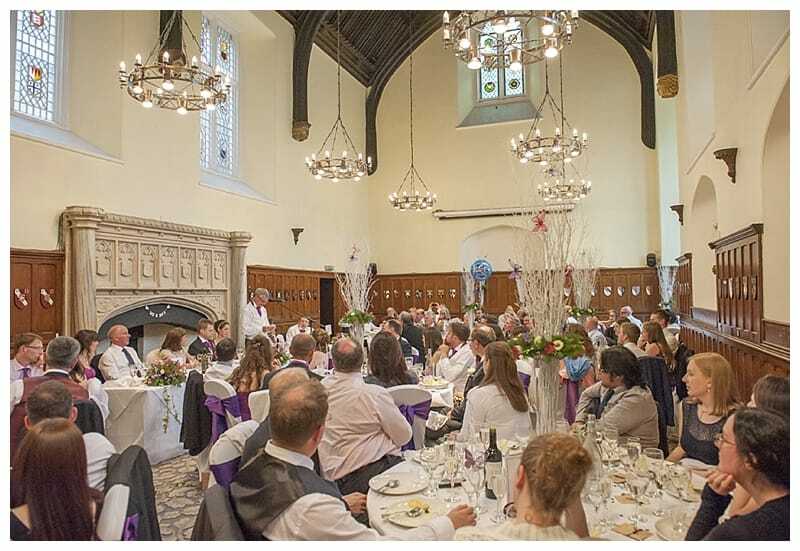 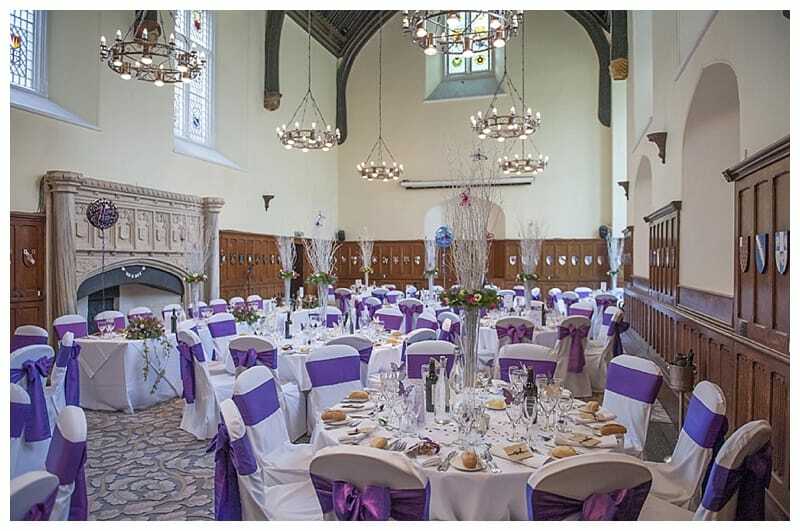 The flowers complimented their chosen colour scheme – with a variety of bold purple and fuchsia blooms injecting further colour and decoration into the venue. 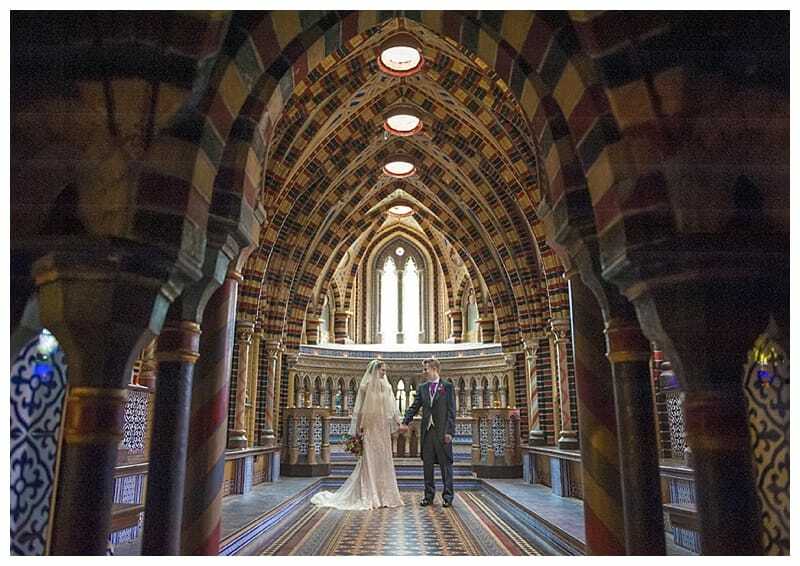 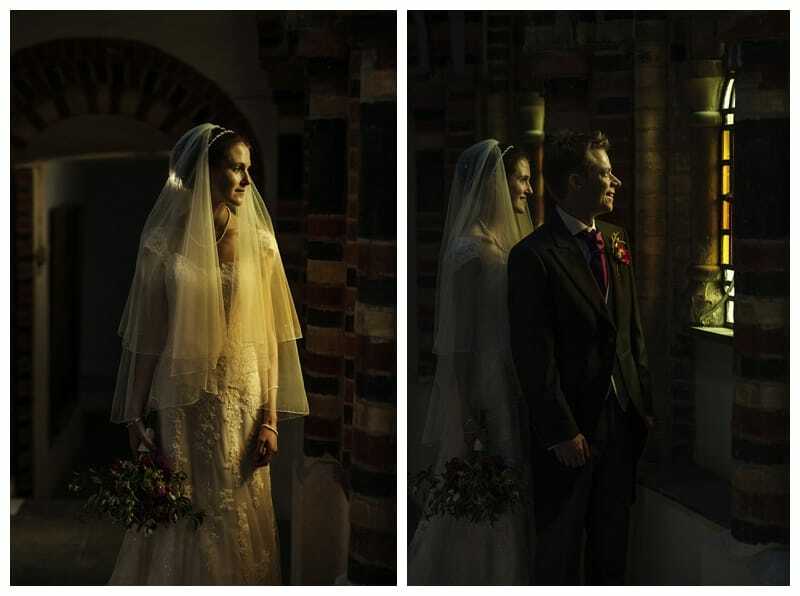 The ceremony was held in the main house, but we were given the opportunity to steal a few moments to get some photos in the onsite chapel. 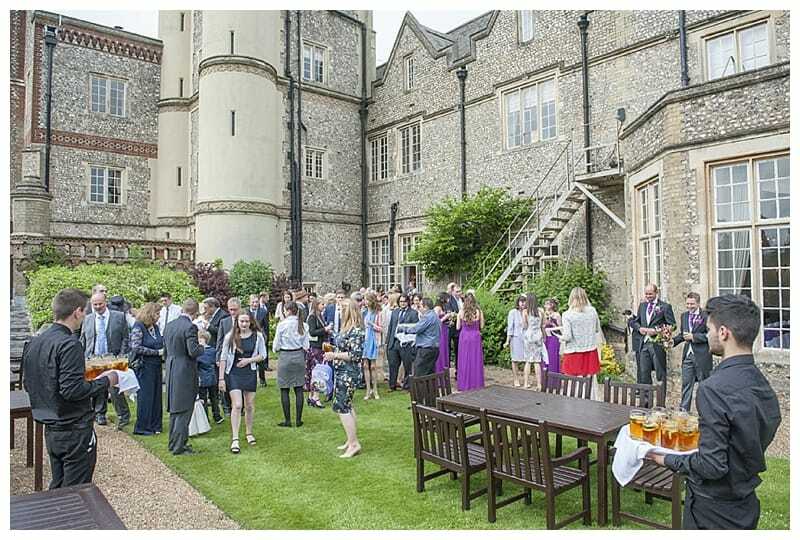 Guests were then welcomed outside with glasses of Pimms before being ushered into the banqueting hall for the wedding breakfast followed by an evening reception. 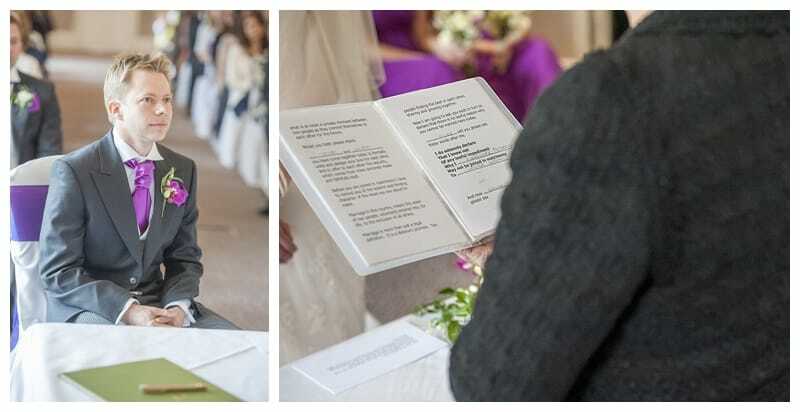 The couple had really thought about the details of their day. 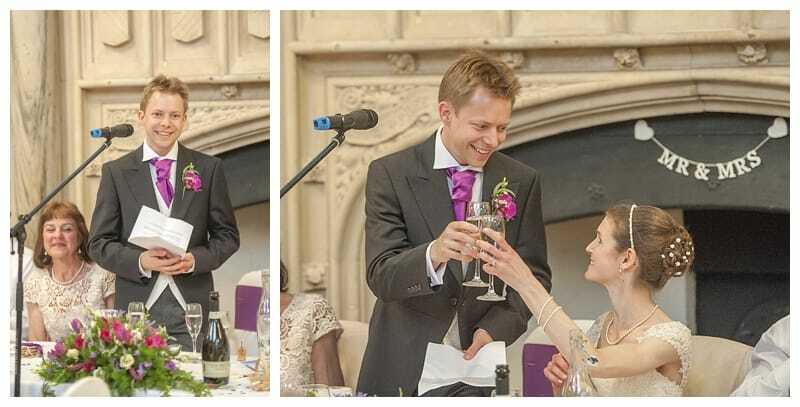 I really loved their unique wedding favours – little packets of sweet pea seeds labelled “let love grow”. 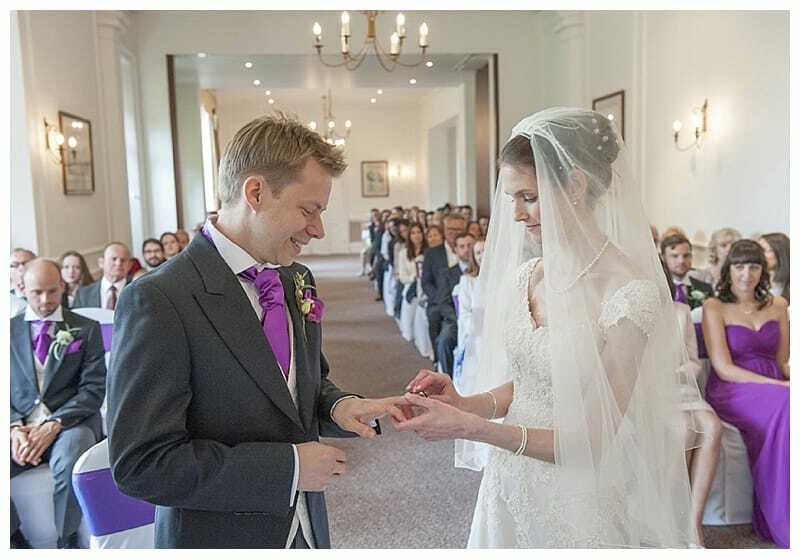 I am so thankful to Alex & Laura and their friends and family for letting me join them in their celebrations on what was a wonderful day. 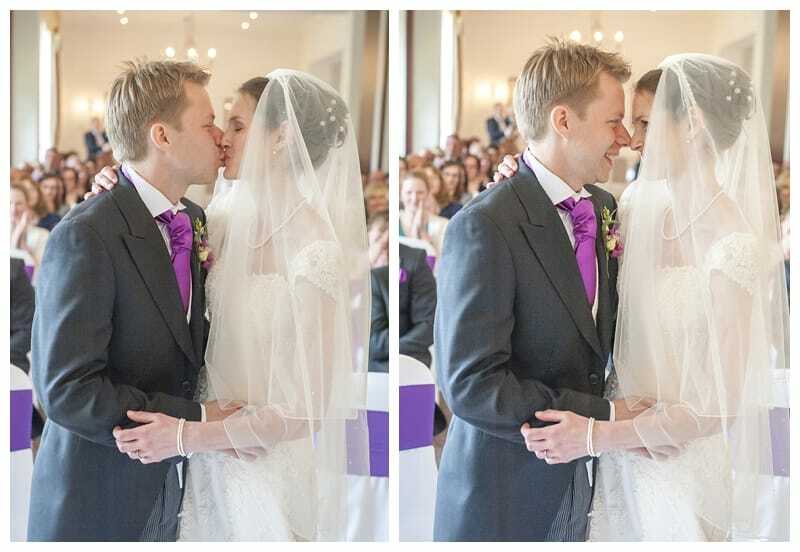 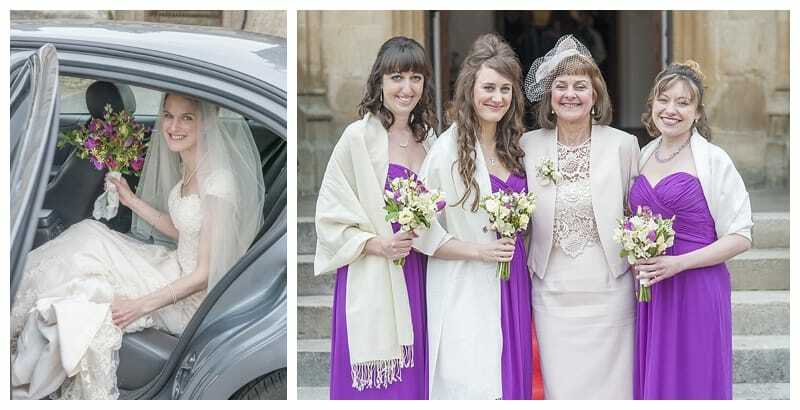 Here are a few photos of their special day!